by Shannon Clark in Top 10, Work from Home | 96 comments | Contains affiliate links. 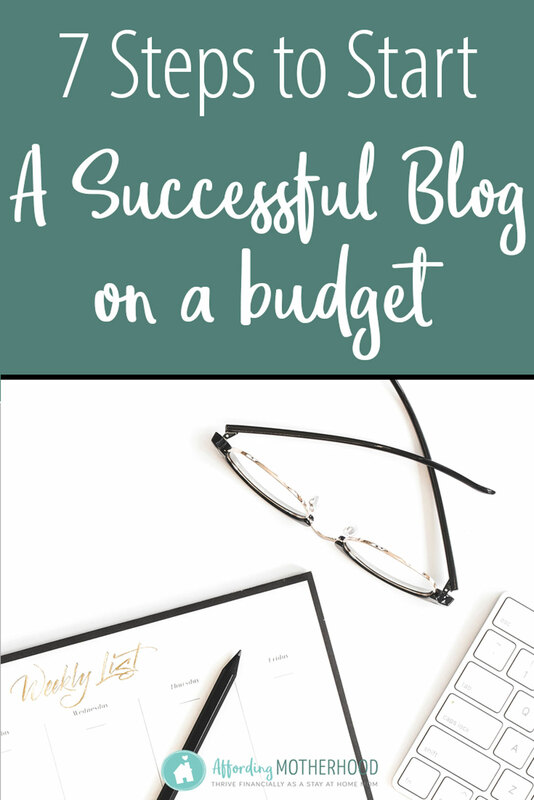 A 5-step guide for busy moms who want to know how to start a successful blog on a budget. Earn an income from home and get started on less than $12/mo. My blogging income in January was $14,757. While that is a record for me, I have been making a full-time income since 2016 and a healthy part-time income since 2014 from home through my blog, even as a busy mom with two toddlers at home. Despite this awkward reaction to my unconventional business, no one could be more surprised than I am that I am able to make a steady income from home by blogging. I never started out to make blogging a business. When I began GrowingSlower in 2011, a couple of months after my oldest was born, it was simply to fulfill my personal need, yes need, to write. As a newly stay at home mom, it was also a connection to the outside world and an opportunity to share all I was learning about simple and frugal living. It was years before my blog started earning any significant income, quite by accident, and in that moment I realized that just maybe I could have the best of both worlds. I could use my love for writing to authentically share my passion and experience to help other moms reach their financial and family goals. And at the same time, I could help my family by earning a much-needed income. In fact, my blogging income played a key role in helping us get out of debt in under a year. Blogging has allowed me to afford to stay at home with my kids as I’ve transitioned to blogging professionally. Here’s what I now know. If you have a passion you are longing to share with the world, if you’re willing to work hard, and if you start out following a few simple guidelines for starting your blog the right way, you can make an income blogging, even in the midst of a busy family life and on a tight budget. Looking back on my blogging journey, I can just imagine how much more quickly and easily I could have reached this point if I could somehow have known when I started what I know now about how to become a successful blogger and make money doing it. But since that’s not possible, I am sharing everything I’ve learned with you, so your path will be that much smoother. Nothing would make me happier than to help out another busy mama who is wanting to start her blog. So, here we go! Almost daily, I receive emails from busy moms who have been curious about blogging for a while but aren’t sure where to get started or how it can be turned into an income. They love writing and have so many ideas they want to share with the world through blogging and earn an income at the same time. If you’ve been thinking about blogging, don’t wait another day. Start now, so you can start growing your blog and your income. I’ll walk you through it step by step. 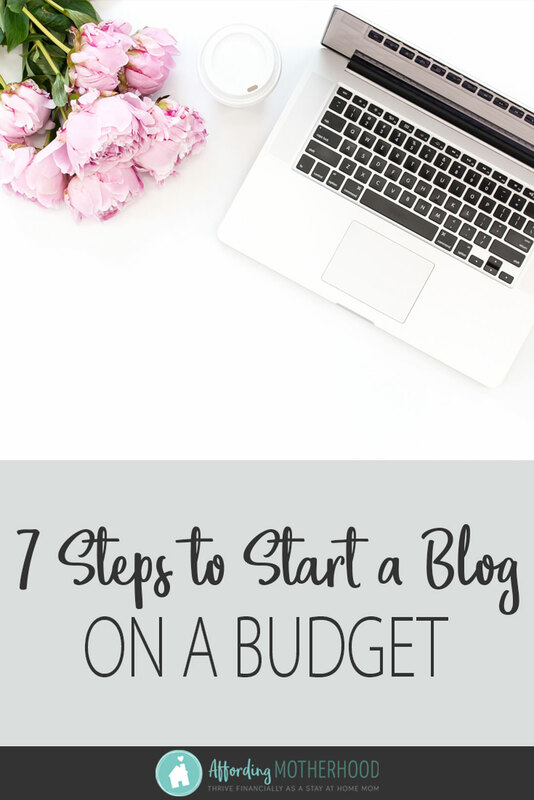 Here is a comprehensive guide for how to start a profitable blog on a budget. This post includes affiliate links to many of my favorite affordable blogging resources. At no cost to you, I earn a small commission when you click one of my links and make a purchase. These 5 steps to start your blog will take no more than an hour to complete. Then you’ll have all the basics in place to start sharing your message with the world! The first step to starting your blog is to pick a host. A “host” is a company that houses your blog online and allows it to be seen by your readers. There are free options out there. I started out on the free blogging platform Blogger. Unfortunately, this was a huge mistake that really held me back from growing my readership and my income until I finally switched to self-hosted WordPress October 2014. That’s when things really started to take off! Before I switched to a paid WordPress host, I wasn’t even a bug on Google’s windshield. Now it’s my #2 traffic source. I always assumed that it would be too expensive to pay for hosting for my blog. However, this just isn’t the case. Starting a blog is very affordable. If you’re just starting out, Affording Motherhood readers get exclusive pricing as low as $2.95 a month for hosting when you click one of the links in this post! For a new blog, I recommend choosing the starter plan and then upgrading as needed. Most likely, you’ll be just fine with the starter hosting for quite a while. If I were starting a blog today, I would 100% go with a paid host with WordPress as my blogging platform. It is MUCH more affordable than I imagined. Many more options for creating a user-friendly, professional-looking site. More control of your own content. More options for income through products, ads, and sponsorships. Simply put, there’s a reason why WordPress is the most popular blogging and website platform in the world. And to use it, you need to choose a host. It only takes a few minutes to get set up with a host. 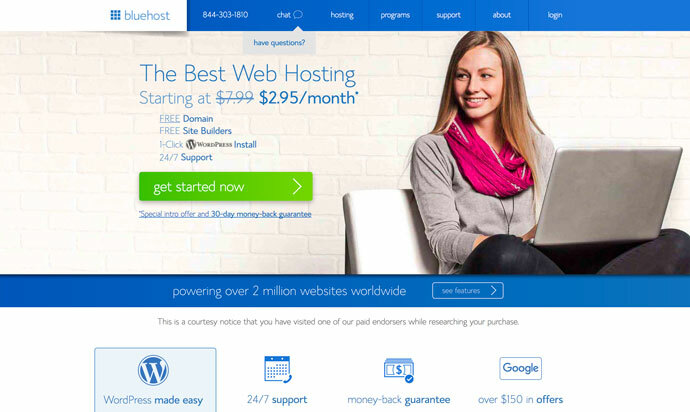 Bluehost offers automatic WordPress installation included with the cost of your hosting plan. They have a great reputation for customer service, affordable hosting, and are perfect for new bloggers. So, if you want to start a profitable blog on a budget, your first step is to head over to Bluehost and choose your plan. Click the get started now button, and I’ll walk you through the basics of how to get your blog up and running. I previously used Black Chicken and now WP Engine because I need more managed hosting now and a higher plan. These are more expensive than other options, but I have had a great experience with them both. Switching in the future if needed when your traffic grows is very easy, as long as you start out on WordPress. Chances are if you’ve been thinking about blogging, you already have in mind the topic you’d like to write about. However, with so many blogs out there, is there room for yet another one about your chosen topic? Here’s what I truly believe and have seen to be true again and again. You have a unique story and perspective. If you are willing to authentically share that on your blog, and just be you, you won’t have any trouble finding a loyal group of readers and make a good income. You also might have heard that you need to pick a particular topic in order to make an income blogging. I have not found this to be necessary. It’s not like there’s a list of successful blog topics out there that you must pick from. There are successful bloggers making part-time and full-time incomes in a huge variety of categories, especially “lifestyle blogs” which include fashion, budgeting, food, faith and lots more. So, whatever you’re into you can create a successful blog about. You will certainly be the most successful if you blog about something you are truly passionate about. Again, it goes back to writing authentically in the context of your unique story. A domain name is the web address people will type in to get to your blog. 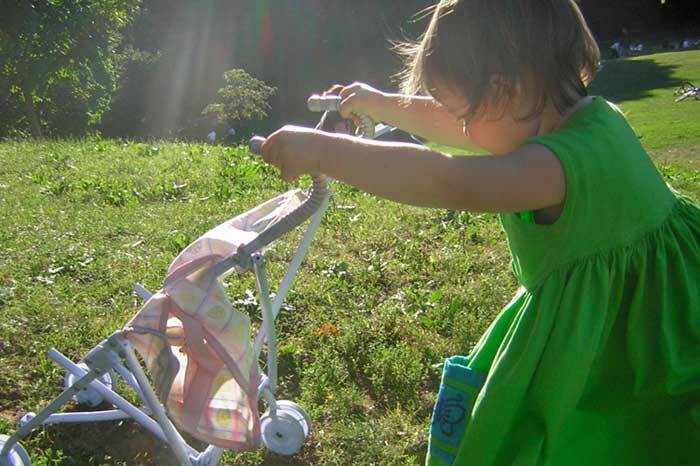 For instance, the domain name for this blog is affordingmotherhood.com. The cost for a domain is about $10 to $15 for the year. I recommend buying your domain name through the host that you’ve chosen to use, for simplicity sake. This will save you the extra step of connecting your domain to your host. 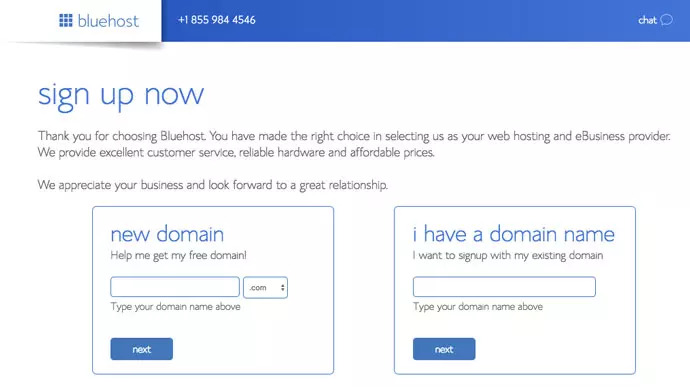 Bluehost offers a free domain name registration with their standard hosting plan. In this step, you’re essentially choosing what to name your blog. That could seem a little daunting. However, it is not hard to change your domain name down the road if needed, so don’t stress over it too much. There seems to be a trend now of people simply using some combination of their first and last names, so if you’re totally stumped, that’s a safe bet. Just enter your domain name in the little search box to see if it’s available. You’ll then be asked to enter your account information like your name, address and email address. The next screen is where you officially select your hosting package. You can choose from a one, two or three-year plan along with a few other options. If you’re going to be using your home address for your blog registration, then you’ll want to include the Domain Privacy Protection. Next, enter your credit card info to pay for your hosting package. Follow the instructions to set up the password for your account. WordPress is the blogging software that I use along with pretty much every serious blogger out there. If you’re using a host other than Blue Host, at this point you would need to install WordPress. However, with Bluehost, that’s done automatically for you. You’ll then be asked to choose a login name and password for your WordPress account. For better security, don’t use ‘admin’ or your blog name for the Username. An important note…at this point you’ll be asked to pick a theme. I recommend that you skip this step for now. I’ll explain more in a minute about why this is important and what to do instead. Congratulations! You just started your blog! Click “Start Building” to login to your new blog. A theme works with WordPress to control the way your blog looks. This is what will allow you to choose page layouts, fonts, colors, and much more. There are free themes available, but after much research, I decided that a paid theme was definitely worth the small investment. The last thing you want to do is put time into customizing your theme and then find out a couple months later that it doesn’t comply with the latest updates, or worse yet has some hidden code that is compromising your blog and your business. That means if you start customizing a theme and realize it’s not what you had in mind, you aren’t stuck. You can just download another one of their dozens of themes until you find the one that is perfect for you without any extra cost. 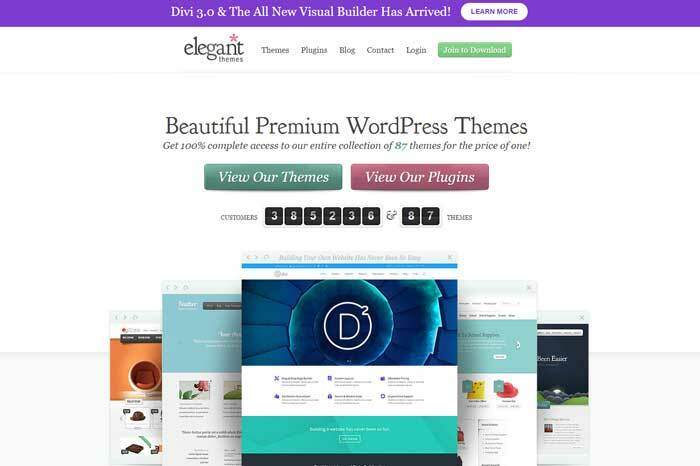 Elegant Themes has fantastic support and beautifully designed themes (as in both beautiful to look at and easy to use), and they’re constantly updating their library and resources. Best of all, they’re always here to answer questions if I run into a problem. Collecting the email addresses of your most loyal readers is one of the most important steps to growing your traffic and your blogging income. Imagine you’ve just published your new and totally amazing blog post. You just know that this is going to go viral. Wouldn’t you like a large group of hundreds or even thousands of people that believe in your message to see it right away? That is why you need an email list. It is free to start one. When I first started out I used MailChimp for my email management system. It has a lot of good features. Best of all, it is free up to 2,000 subscribers and up to 12,000 emails every month. No credit card required. How much does it cost to get started blogging? So, based on the above recommendations, your total cost to start blogging for income is about $160 for your whole first year. If you look back to my interview with Gina Horkey, this is similar to the $171 she invested to start her successful freelance writing business. Can you start a blog for free? Yes. From my experience, you won’t see the full fruits of your labor until you make the small investment to start your blog the right way. When you do, you’ll soon recoup your cost many, many, many times over. There are few other businesses you can start with such a small startup cost and that give you the flexibility of working from home. I know what you’re asking yourself. Before I jump into starting my new blog, how am I going to use it to actually earn an income for my family? I totally get it! Blogging isn’t the most common career path, and it can be a bit of a mystery when you first start out, but I promise it’s all totally legit. When people ask me about how I make money blogging, I use the magazine analogy. When you buy a magazine subscription, chances are the publication isn’t even covering its costs to print and mail you their magazine. Instead, their income mostly comes from sponsors that place ads or articles on their pages. With a blog, you provide free articles to your readers, while sponsors pay you to include their ads within the post. In addition to ads, you can also earn income through affiliate networks, sponsored posts, writing books, and creating related products and services. Of course, bloggers can make a wide range of incomes, and most of it depends on getting started the right way and then continuing to stick with it. I’ve already shared that I now make a full-time income blogging, but what about other bloggers? In her 2016 post, Amy Lynn Andrews estimated that bloggers can make around 1% of their page views per month. So, if you have 30,000 pageviews, you might expect to make about $300 per month. In my personal experience, that seems a little low. I usually find myself anywhere from the 1 to 3% range. In her book, blogger Ruth Soukup notes that the tipping point for earning $50,000 per year is about 300,000 pageviews per month. However, if you just need some part time income, 25,000 to 50,000 pageviews will get you around $10,000 to $15,000 per year. 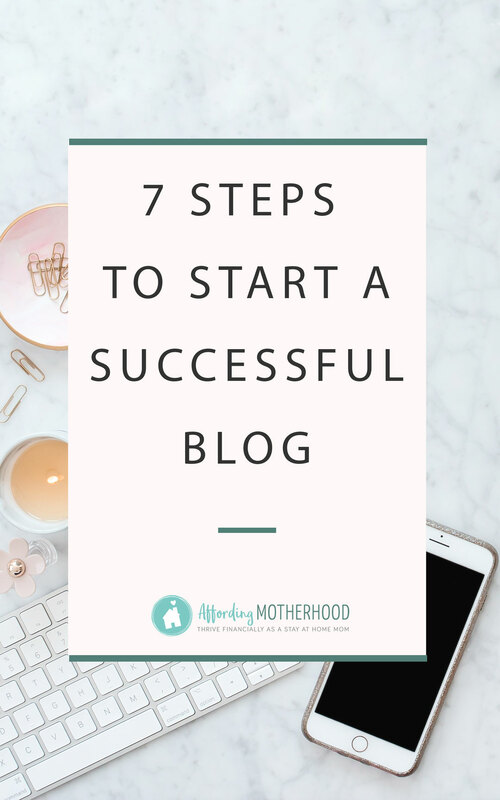 Here’s a quick summary of the 7 steps to follow to start your blog. I wish you the absolute best with your new blog! Feel free to stop by the comments to share your progress or ask any questions. I’d love to cheer you on! Thank you for your support to all the future bloggers out there! You inspire me to keep going! To me you are fresh air! Hey Shannon so I read your post a while ago but I didn’t comment, just because as I was setting it up the total for the package was $118 with what I picked is that upfront? Or would I make the payments of $2.95 I opted out because I don’t have the money yet. And like you said I don’t want to start a free one I rather invest in one but I just wanted to be sure if that amount if required upfront when paying for the package? Then after the payments of 2.95 for 36 months? Selene, Bluehost has several different packages available. I believe to get the $2.95 rate, you have to pay for 36 months up front, but I am not 100% sure. Definitely check into it first and make sure it’s something you’ll be comfortable with before signing up. Alternately, you can look into Black Chicken hosting. Their rates are a little more but you can pay monthly. This article was very informative. How long would you say it will take to start seeing income coming in? I am totally interested, but feeling a little nervous about it. Hi Stacee! I have seen many bloggers start to make a decent side income within 6 months. Thank you for sharing it is a great way to get started on a passion project or to help promote your business. Thanks for the info! Hi, so I have been researching starting a blog and I finally put in the money with bluehost to start my blog, I’m super excited but my main fear is content, are there any tips or even breakdowns on how to write a good solid blog post. I want to make sure my readers love my posts and that they are informative but not boring. Any tips? Thanks, Megan for the great post idea! I am working on some brand new content related to starting a blog this month, so I will see if I can fit this in. In the meantime, start with a story to capture your reader’s attention. Help them solve a problem your target reader might be having. A lot of it is guesswork at first. You need to get 20 to 30 blog posts published to start to see what style and topic resonate with your readers. Eventually, you will start to see a pattern, and then you can start to successfully replicate those posts. 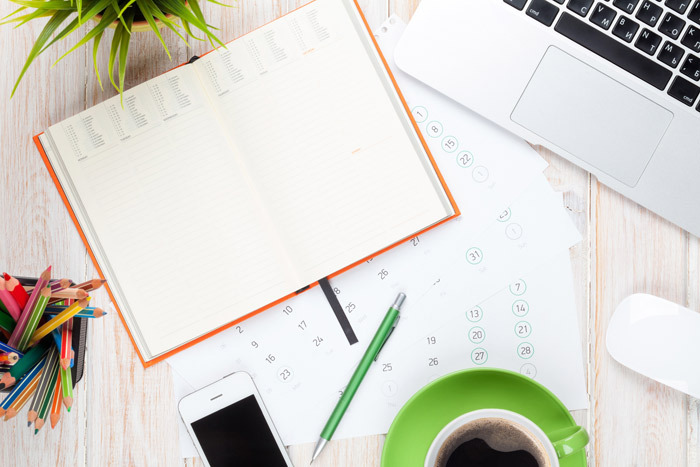 Let me know if there are specific questions or challenges you’re running into as you start writing your blog posts, and I will include the answers in my upcoming posts. Thank you! Clear. Concise. I’ve been thinking about starting a blog for a few years – this makes it sounds fairly simple!! Thank you again!!! I’ve been blogging for about 6 months now I just recently posted my 50th blog post. It took awhile to figure out exactly what topic I was passionate enough about, originally I began as a food blogger, however I has since transitioned into a blog that aims to reach millenials who are at different stages including college, jobs, and new parenthood depending on the path they have chosen to take. Blogging helped me to get my freelance writing career off the ground, and I am hoping that soon I will be able to do well enough with my freelance writing that I can finally invest that ~$200 necessary to get my blog on the profit making path. That’s amazing Brittany! 50 posts in 6 months is fantastic! I’m so glad you’re already seeing success with your writing. Congrats! Thank you so much for this! I have been wanting to blog for well over a year. I kept putting it off thinking I didn’t really have anything anyone would be interested in BUT…Like you said….just be me. I am sure there are many more out there with my same struggles who may need a little input on how I get through them and some encouragement. Exactly! I’ve heard the analogy from many different people that you really just need to be one step ahead. It’s kind of like the model of discipleship. The people who are ahead in a certain aspect can help those who are a step behind, and hopefully you also have someone ahead of you to look up to and learn from. I hope you’ll come back and update me when you start your blog Kim! Thanks for sharing! I can’t wait to read your next few posts on this subject. Thank you for taking the time to share this. I’m looking forward to the rest of your series! 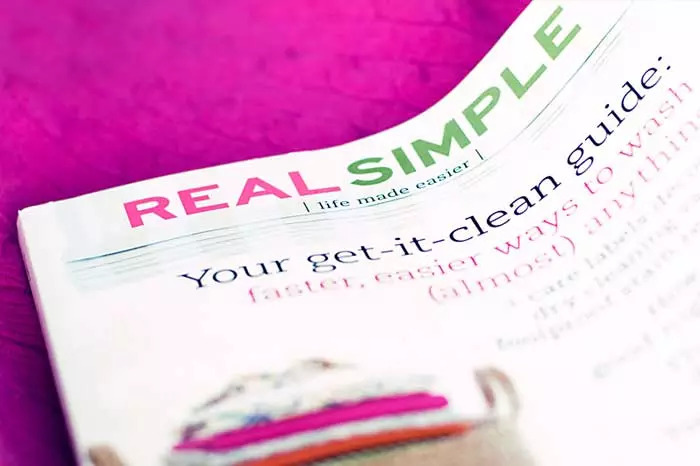 Love this article, it’s got some great actionable tips. I think I’m going to move forward with wordpress hosting in the new year, I want to get some more content up on my blog before I do that. Just a quick question how does switching to paid wordpress hosting increase your blog visibility more than just using the free hosting? just wondering! Oh goodness yes! It has paid for itself many times over. I wish I had started with self-hosted wordpress from the beginning, but since I can’t go back in time, I just make it my mission to make sure other new bloggers get started the right way! :) Best wishes on your blog! How do I start, is it free to start? Does this really works. Really need a stay at home mom job…please help. Hi Betsy, thanks for stopping by the blog. Yes, you can start a blog for free, but as I mentioned in the post, you’ll have a much better chance of success if you do go with a paid host. However, the investment is minimal. I have been earning a significant income through blogging that has allowed me to stay at home with my kids since about 2014, so I can say yes, it really does work. I hope you’re able to find the at home job you need! Great introductory step by step post. Thanks for sharing with the emphasis on keeping a budget during the online startup! I am starting to set up a blog. I understand it will take some time before it really generates some income, but can you give me an idea of how long it may take before a blog can generate a part-time or full-time income? I am curious if it is possible to do that in about a year or if that will take many years? Thank you so much Shannon! Your blog is one of my favorites. You’ve inspired me to start blogging. Keep doing what you are doing; you are a wealth of knowledge and a blessing. After years of thinking about starting a blog, I finally did it. Thank you so much for posting this. I would love to make an income blogging and continue to stay at home with my son. I was wondering if you’ve posted the blog about how generate an income blogging? I just want to make sure I didn’t over look it. Thank you so much, Brandy. I wanted to let you know that this evening is the first time I have came across your blog and as I have many others I read through it. However, I’m not sure what it is about your particular blog but for some reason I feel drawn to it. A lot of what you have blogged about sounds so much like myself. I have wanted to start my own blog for a while (3 years to be exact) but being the procrastinator that I am, not knowing where/how to start AND racking my brain for a domain name has prevented it. I too, have a passion for writing. I always have. All the way back to Elementary school. I have many, many ideas for my blog and have had to hand write everything as I think of it. My dilemma now is coming up with a domain name haha. I have a binder with “my blog” topics, “layout” etc. I literally am just steps away…if I can ever decide on a domain name. Thank you so much for the inspiration you give and the passion you put into your writing…Unlike some blogs where the content is just as original as the next one I click on after it. I only hope to become half the blogger you are. Thank you for sharing this, it has helped!! You have inspired me to start my own blog and work towards becoming a work from home mom! I love your blog so much. I have a question: can you please explain why starting on a free blogging platform held you back from growing your readership and income? Great question! Yes, starting on a free platform limited my visibility to search engines (there are so many spammy blogs and sites that are self-hosted, I think that google just ignores all of them). They also don’t have the speed that self-hosted plans can. (readers don’t want to sit around waiting for a site to load) While you can do custom blog URLS with some free platforms, if you have the /blogger or /wordpress web address, it just doesn’t look as professional or legit to potential readers and sponsors. It also limited my ability to customize and optimize my blog design for growing my audience and income. 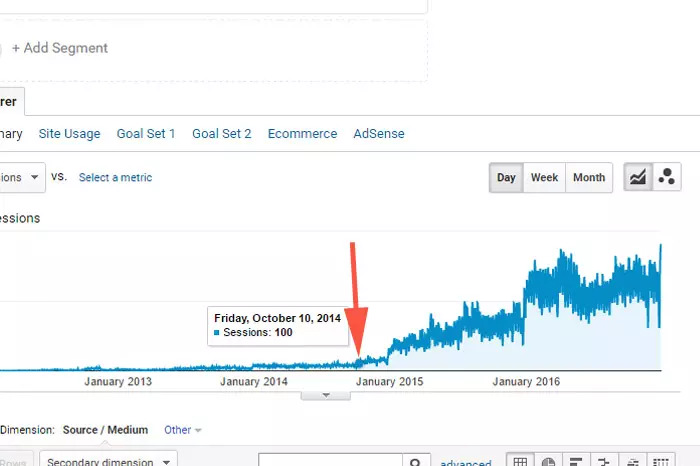 There may be other reasons someone more technical than myself could explain, but all in all, I saw my traffic increase almost over night after I switched over. I hope that helps a bit! Best wishes with your blog! Thank you, I started my blog on January 1st of this year. I paid for a host and got the free domain name. I have been using a free theme so far. Your post encourage me as I am starting out ok. Traffic has been slow, but I just watched an online series about SEO that I believe will help. I look forward t your next post. Also, I had trouble picking a domain name and picked this one but would love to change it later. That’s fantastic that you’ve already started out your blog the right way Linda! Keep it up. Also, be patient; I’ve noticed it can take about 3 months to really get your posts picked up on Google or Pinterest. Best wishes to you! Where do I find the next post on how to earn income blogging? Hi Katherine! You can find my post about how to earn an income blogging here. Thank you for sharing this information with us! Am I understanding correctly that you would advise gaining loyal readers through the WordPress-based blog we create and then using the emails of these readers for the email list you mention? Or did you get loyal readers for the list another way? Thank you for helping me understand this better. Thank you so much for this!! I have been thinking about starting a blog for a year now and somehow kept thinking how will I ever get people to read it. With the help of your post I was able to start my own blog! I promised myself I will not comment until I had something up and running. It’s very new and very small (only 3 posts up so far) but I would be honoured if you check it out. The entire credit goes to you. Congrats on getting your blog up and running Sarah! That is amazing! Keep it up :) I will definitely stop by and take a look. This post has been very informative. I am currently looking to expand my blog and this has helped me hone in on some good choices in order to kickstart my business. Your recommendations are awesome and I can’t wait to get my blog up and running. This was the motivation I needed. Thanks a million times over!! Thank you so much for the sweet comment, Nicki! And best wishes with your blog!! Thank you for this post. I am a SAHM of 3 kids. With only one source of income, I would love to be able to create some extra income blogging to help my family out. I love to share ideas and recipes online so I really feel like blogging is my calling but I am nervous to start because I feel like there are so many different directions to take and I want to know I am going to do everything I can to be successful. Hello did you ever do the blog about “How to Earn an Income Blogging” where you were going to list the actual links and stuff that are free? Hi Melissa! You can find my post about how to make money with a blog at the link. Can you recommend a host that will also let you add an ecommerce page or a page to shop! Thanks! Great question Tere! As long as you’re using self hosted wordpress, you can use a free plugin to add a shop automatically. It’s super easy. I love your site!! Just wondering when you expect to be going into specific detail about how I earn an income blogging? If you’ve already posted that, can you please tell me where to find it? Thanks so much! Hi Mindy! That’s a great question because I know a lot of people are moving from free blogging platforms to self hosted. I will check with Blue Host and get back to you. I really like this inspiring post! I love to write but have been hung up on trying to decide on a niche topic. It is encouraging to know that I can be successful from a more broad standpoint too! Vanessa, my best advice is to just get started and see what works for you and your readers. You’ll never really know for sure until you try. Once you do start, you can then fine tune. You can check out my post on how to choose a blog topic for more details and inspiration. Best wishes with your new blog! Hello, I just found your blog while looking for resources on financial planning. We’ve been passive and a little sloppy in this dept for our entire marriage and want to change that. I have to be honest. While a lot of the resources here are fantastic, I feel suspicious about the blogging for profit idea. Seems a bit too good to be true. I went to a very good school and majored in lit/writing. There was no mention of the potential to write, profitably, for the internet (with the exception of science/medical writing). 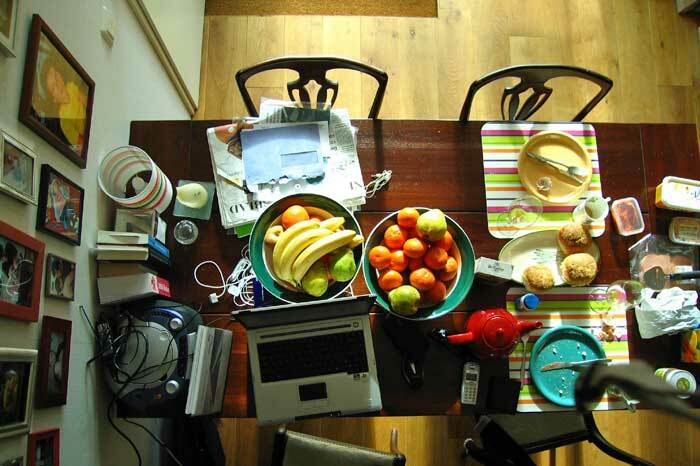 Could a writer generate a decent income simply with freelance writing and blogging? Where does the money come from? Ads? Or would I have to also have a product to sell (i.e., a course, ebooks, etc). I’m feeling a pyramid scheme here (buy my writing course, start a blog, sell your course, etc). Gina’s income in her first few months was outrageously high. More than I make now as a librarian. Forgive me for being cynical/suspicious. I’m just curious. Hi Baz, thanks for your comment. I’m so happy you’re looking towards getting your finances to where you want them to be. 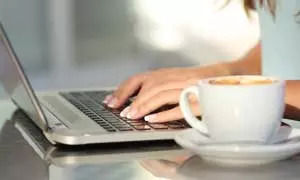 It also sounds like you are in a fantastic position to find a work from home situation with either freelance writing or blogging with your writing background. So let me start out by answering your first question: where does the income come from? I go into this in greater detail in my How to Make Money from a Blog post, but it sounds like you’ve got the idea. My main source of income is through ads, but I also earn money through my books and courses, affiliate commissions, my Etsy store, and occasionally sponsored posts. If you just want to earn an income from writing, I would go the freelance route, like what Gina teaches. I can definitely see how it can seem too good to be true, but you have to look at these fields, either blogging or freelance, as a job/business. It’s definitely not a get rich quick thing. Those who become successful work hard, just as anyone in a more conventional job does. What I love about Gina is she is an incredibly hard worker. If you look at her story, she started out in freelance while working full time, so she was getting up at 4:30 in the morning and working weekends so she could grow her income. She was so determined. Her first month she made $805. Amazing! As for me with blogging, I’ve had times when I woke up at 5 in the morning to work after being up with a baby all night or stayed up until late into the night to work after my kids have gone to bed. But I love this work and I wouldn’t have it any other way. I have wanted to start my own blog for years now, though I can’t help but wonder, would it be best to partner with an already established blogger at this point? To start out doing guest posts? Instead of adding to the competition? How would I even go about contacting a blog administrator with this option? Hi Sydney! Not many blogs pay for articles and guest posts, but I think what you’d be interested in is freelancing writing. Creating content for other websites is definitely an option if you want the flexibility to work from home writing. You can check out my interview with Gina about how to get started freelance writing. I think it just comes down to what you’re more interested in doing. Do you want to create a blog that you are able to share more of your story and build relationships with readers? Or do you just want to straight up write articles that fill another site’s requirements? I hope you find the perfect situation for you! Thank you so much for this post! I love that it is simple and to the point! So helpful for beginners! Thank you so much for this post! Really straightforward and clear. Very valuable for hopeful and aspiring bloggers out there wanting to join the world of blogging. Great post! I started a blog 3 months ago and have only been posting every other Saturday because I am also writing a book. Eventually, I will write a post once a week. I have not started monetizing my blog yet though. I have to admit that ads on blogs seem too distracting to me. Still trying to figure out what direction I want to take for monetizing my blog. Awesome tips Shannon. Many people fail to understand that blogging is a long term goal, they give up so soon. I think first get relevant people to your blog posts and then choose the best way to monetize them. Absolutely. It has to be about serving your readers first and foremost. Thank you so much for the information! I’ve always wanted to blog since I love to write and have a minor in creative writing. My friends and family always told to start one as well but it always seemed too daunting. After somehow coming across your sight I read this post and for the first time felt I really could do you. You made it sound simple and possible. It does take work, yes, but your post was very encouraging and realistic. I’m just still in the building a blog stage, but hope to launch soon. I’m excited for this journey and it’s all thanks to your blog! That’s fantastic Elizabeth! It sounds like you’re perfectly cut out for starting a blog. I wish you every success with your new blog. I can’t wait to check it out! Hi, I feel like I have found a home on your website. Every article has been great so far. I wanted to make sure I understand correctly – that if I buy through bluehost, I don’t need to buy a WordPress plan? Yes, that’s right Janelle. Bluehost is the hosting plan. I recommend a paid hosting plan for all bloggers. Your host’s server is where your website lives. WordPress is free, it’s the ‘software’ so to speak that you use to write your posts. Thank you so much for your kind words. I’m glad my site has been helpful to you! Please feel free to post here if you have more questions or email me anytime. Thank for share this precious informative blog for us. Thank you so much for the info! I just started a new blog and you’ve encouraged me to take the next step! This was the most helpful “how to get started blogging” info I have found. THANK YOU!!! I feel like I can actually do this. This and other articles you have are so wonderful. Thanks again!! You’re very welcome, and best wishes with your blog. If you run into any questions as you get started, feel free to leave a comment here and I’ll do my best to help. 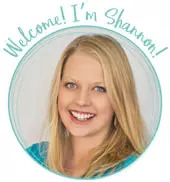 Shannon, thank you for sharing your success strategies! I look forward to reading more of your posts. You’ve helped me start my blog on how to grow younger and live longer. Have you written about content creation like writing a book or creating a lead magnet? Jeremy congratulations on starting your blog. I am sure that is a topic that many people will be interested in. I have not written about content creation and lead magnets yet, but I will definitely add them to my list now. Thanks for the suggestion! Hello! I want to be a stay at home mom and I’m basically a single mother. I’m with my child’s father. We just aren’t married yet but he plays basketball overseas so I’m taking care of our daughter by myself. I want to be able to spend more time with her. I’m currently a teacher and it is absolutely miserable and draining the life out of me and my sanity. I would love to get started on becoming a blogger. You have truly inspired me to do it. I’m just very scared and hesitant on spending the money but I’m beyond ready to do it. I started filling out bluest but haven’t completed yet because of the add-ons they are offering and I’m unsure on what to select or unselect but it raises the price it. Could you provide advice? I also wanted to know is there another site you recommend for themes? They are no longer $69, they are $89 now for Elegant themes website. I’m really trying to get this started and am more motivated then ever to do this but I’m just trying to do it in a lower cost if possible. Thank you! Hi Jenise, thanks for your comment. One thing you might consider is to directly use your teaching skills with a work at home position. Look into sites that employ teachers for teaching/tutoring. Just thinking that you might earn more, sooner with something like that. However, blogging definitely does offer the flexibility that stay at home moms need. So to answer your questions, you don’t need to do any of the add-ons for Bluehost. The only one you might want to do the one that says Domain Whois Privacy to keep your personal address private. 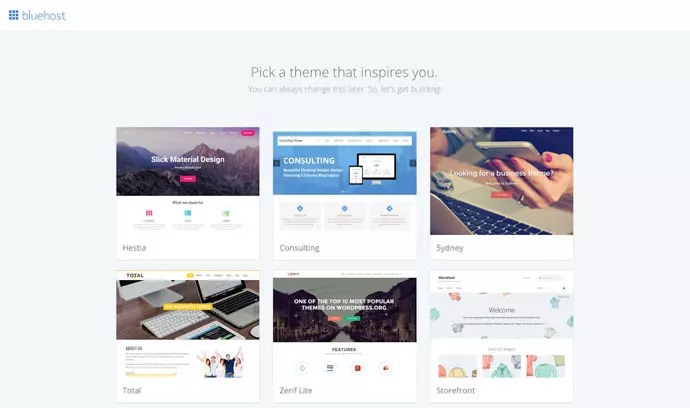 If you don’t want to spend the money on a theme right away, you could use the default themes that come with WordPress, and then upgrade later without any issues. Thanks so much for this great post! I’m a new stay-at-home mom and was researching jobs I could do from home (so I could stay at home for the longterm!) and I kept coming back to blogging. I have read and re-read your post multiple times and downloaded Ruth Soukup’s book; so good! I feel like I’m much more set up for success and not floundering in the dark! I would love any feedback on my website! What really matter most is your quest to deliver value to people. I started my blog for $1 domain name alone and I hosted with google blogger and from there I’ve been moving on and it’s really an incredible journey. This is so helpful! You explain each step of the process perfectly and with the most reputable companies. Thank you so much! Thank you so much for this information. I am just starting out and there is a lot to learn! My goal is to grow my blog and monetize it, but I have a question about hosts. I already paid for WordPress premium and started my blog there. But now I keep seeing Bluehost recommended everywhere, and I understand you can link your WP blog to Bluehost. I am just wondering what I paid for with the $96/year wordpress premium? Is that already a host package, and I don’t need Bluehost? Or what else would Bluehost provide? Does using Bluehost make it much faster and more efficient to reach your target audience and start making money? Thank you!!! You recommend Bluehost but your site is hosted by Cloudfare. Can you please share what’s the difference and why you’re not with Bluehost? Cloudflare is actually used for caching so that readers are able to view the site faster. My hosting is actually with Black Chicken as I explain in the article, because of the amount of traffic I have now, I need a more managed plan. I love them, but if you’re wanting to get started and are trying to do so on a tight budget, there’s no better option than Bluehost. Hope that helps! Thanks for this clear step by step. My question is about email lists. Part of what seems daunting is not having easy access to the population of people who would be the audience’s blog (ie parents of young kids) because I’m not longer part of that community myself with my older kids. Any suggestions for how to tap a wider audience, use social media like Facebook to “find” an audience? Thanks! Oh I love that you want to target an audience with your blog that is the stage you were a few years ago. That’s a great idea, and parents of younger kids definitely need your wisdom. If you can find even one person in your life who comes to you to answer these types of questions, write a blog post that addresses one of their problems. If they find it helpful ask them to share it with two or three of their friends who it could benefit. Continue to do this, and your blog will grow naturally. As you build up a catalog of helpful posts, you will also start to naturally grow traffic from social media and search engines too. Does that help? Thank you for your blog – I am very excited about starting mine. While going through bluehost, I am a bit unsure about all of the extra features. Do you recommend one (or any) of those? The only one I would use is Domain Privacy Protection, especially if you’re starting out and don’t have a business address yet. You don’t necessarily want to tell the world where you live. All the others aren’t necessary to start out with. Best wishes on starting your new blog Stephanie!